Destiny is a new game for next-gen consoles, with the public beta of the game now available for PlayStation 4 owners. Xbox One owners will be able to get in on the fun very soon, but until then, everyone playing should go ahead and download the official Destiny companion application, which will allow you access to additional features inside and outside of the game. 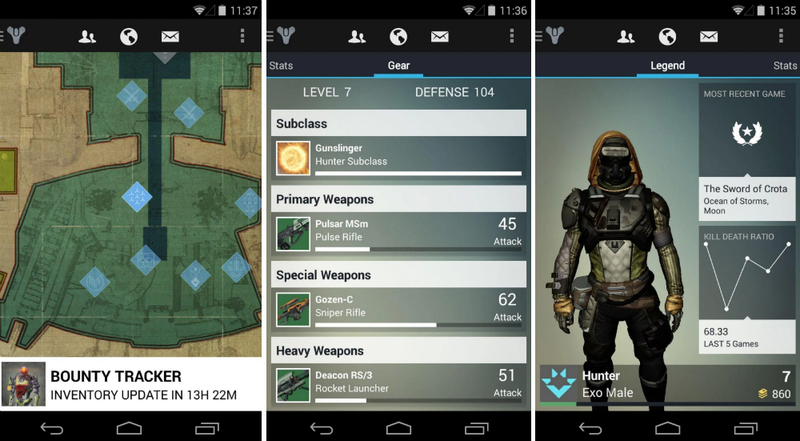 Given that your Guardian is completely customizable in Destiny, you may inspect your character within the companion application, analyze your gameplay, check stats, and also compare your Grimoire score. Users also have access to the Bungie community, allowing you to contact other players through Messaging, forum access, and a whole lot more. Still need persuasion to play Destiny? Check out the Beta trailer below.